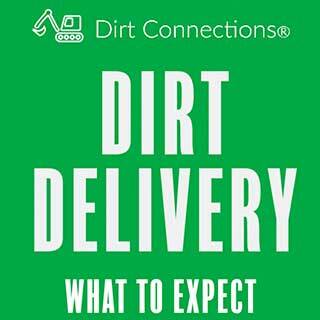 Dirt Connections provides affordable Baltimore, MD fill dirt delivery right to your residential or commercial construction site. We always have enough free fill dirt to meet the needs of your project, and our delivery services are sure to provide you with a prompt and professional fill dirt delivery, no matter how big the project is. Dirt Connections will handle the logistics of your project so that you can focus on the more important aspects of your project versus worrying about how much fill dirt it will require. 7 Schedule a Baltimore, MD Fill Dirt Delivery Today! There is a solid chance that you will need large amounts of fill dirt for your construction project if you have chosen to run a project such as a landscaping or remodeling development. To allow for a sturdy and reliable foundation that won’t break down or end up shifting over time, fill dirt should be used as it helps create a solid and stable foundation. Fill dirt can also help fill holes, assist with land grading, and even out land so that structures can be created on flush, horizontal planes. Our stock of fill dirt is always at your disposal when you need it, regardless of how big or small your project is. However, we may charge a fill dirt delivery fee depending on the distance required to reach your site, truck availability, and any other specific demands that may be limited at the time of your project. We possess the knowledge and experience to assist you with your construction project as much as possible. Dirt Connections is always equipped with the right amount of fill dirt for your project needs. As long as we are available, we will gladly assist you with any other project needs in addition to fill dirt delivery as well. Our free Baltimore, MD fill dirt delivery service requires an on-site inspection before we can proceed with the delivery. This inspection is absolutely free, but we do require a property owner or agent to be present during the time of inspection. 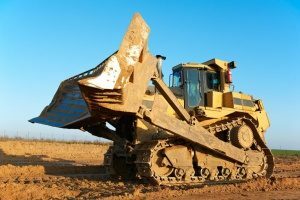 If your Baltimore construction project requires excavation, it is more than likely that there will be plenty of excess fill dirt left over when the project is finished. If you find yourself with a large pile of unused dirt, let us know over the phone and we will be more than happy to remove it from your site – including any necessary hauling and dumping. Fill dirt is the key to keeping the surface of any project stable, sturdy, and reliable. Dirt Connections’ Baltimore, MD fill dirt delivery will meet your project’s needs in a time- and cost-effective manner. This will allow your project to be completed faster without exceeding the budget. Dirt Connections takes pride in helping our customers as efficiently as possible, saving them time, money, and effort. We are very familiar with the area of Baltimore, allowing our knowledge of the region to be an advantage when it comes to a quick and efficient fill dirt delivery. 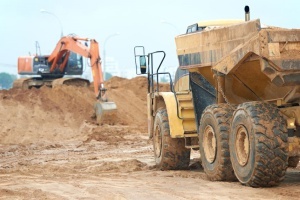 Leftover fill dirt from a construction project can become a nuisance. If there is an abundance of unused fill dirt from your project, we will handle every single aspect of fill dirt removal from your construction site. Therefore, you can focus on the remaining tasks required to complete your project as smoothly as possible. Fill dirt will account for the foundation of your project; therefore, it’s essential that you have enough fill dirt on hand before starting your project. That way, you can avoid and delays from arising during the construction process. Before you start, you should conduct a fill dirt estimate for your project. To determine the required fill dirt of a rectangular project, measure the length, width, and height of the space in inches. Then, convert the number to cubic inches by multiplying the length, width, and height all at once. Multiply the project’s length by its width, and then multiply the result by the height of the project. You then have the amount of required cubic inches, which can then be converted to cubic yards when necessary. You can find the area of a circular project by measuring its diameter as well as its depth in inches. Then, compute the volume of the project by multiplying pi (3.142) by the radius squared, and then multiplying the result by the project’s depth. Schedule a Baltimore, MD Fill Dirt Delivery Today! Dirt Connections has the knowledge and experience needed to deliver large amounts of fill dirt to construction sites all around Baltimore and anywhere near the area. Call or contact us as soon as possible to discuss your Baltimore, MD fill dirt delivery requirements along with any other specific project needs.